Availability: The AILET application form will be available from the first week of January 2019. Mode: The AILET 2019 form will be available for the students in online mode on the official AILET 2019 website. Note: All students have to fill up the AILET 2019 form before the deadline. Note: However candidates belonging to SC/ST/PWD in which they are in BPL (Below Poverty Line), the fee is exempted to them. Click proceed and then select your city & branch & click for the slip. For Cash Deposit at Post Office - Upon deposit, One part of the deposit slip is stamped and a receipt slip issued and is returned to the depositor (to be retained by the student) and the other part is retained by the post office as a record. If the mode of payment is Netbanking, you will be forwarded to the respective bank's site where your account details are verified and payment approved. After that click to proceed. After payment has been received, you will receive confirmation through mail after which student will view & print acknowledgement slip in the from their e-mail or from the Application Locker under the Application Submitted area. What is the AILET application fees? Are the application forms only available online for All India Law Entrance Test (AILET)? Yes, the AILET form will be available for the students in online mode on the official AILET website. What is the AILET application fees for the OBC category candidates? Can I pay the AILET application fees through offline mode? Yes. The AILET application fees can be paid through online or offline mode. Candidates can pay the fees through debit/credit cards or net banking. Candidates can also deposit cash at post offices. If I go the University can I get the Application form of AILET 2017? No, Offline applications are not available in AILET 2017. May I know since when I can get Applications of AILET 2017 are available? 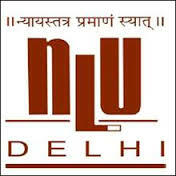 The aspirants who wish to appear for AILET 2017 can check the availability of AILET application forms from the first week of January 2017 on the official AILET website of the National Law University, Delhi. I am in process of filling the Application form. Is the application common for all courses in AILET 2017? No, there are 5 different courses and application for each course is different in AILET 2017. Candidates should Ensure if they have filled the correct application form. What is the last date to submit the AILET form? The last date to submit AILET form is by 1st week of April 2017. When will AILET form be available? The AILET application form will be available from the first week of January 2017. How do I apply for AILET 2017 exam? The eligible candidates can apply through the official website of AILET 2017. The registration for AILET 2017 can be done online as well as offline.